One of the many great things about Summer are the refreshingly cool Summer salads! There is nothing like one of these crisp fresh salads to revitalize you after a long hot Summer day. 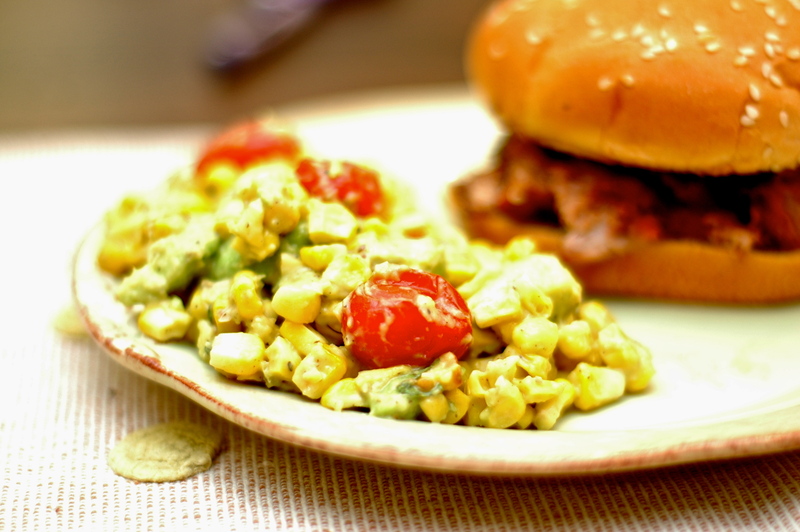 This salad combines sweet crisp corn and the cool creamy avocado. A light acidic tone from the tomatoes and you have a perfectly balanced beautiful dish! You can also enjoy this with spicy main dish as the avocado and corn will cool the palette. Also cook the Cherry Tomatoes on the grill just until the skins pop. Remove both the corn and the tomatoes from the grill and let cool. 2.Slice: Scoop out the ripe avocado and dice into quarter inch cubes. 3.Chill: Chill the salad for 30 minutes to let the flavors meld.